For our second interview on Lifestyle Updated we have a special guest, someone who really dared to go against society dogmas and create something of great value which he really enjoys doing. 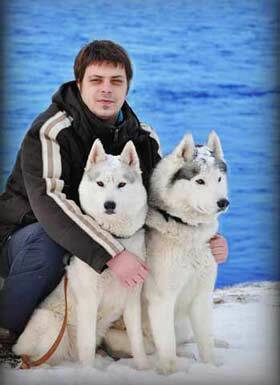 It is my pleasure to introduce to you Stefan Mitrevski, a great friend of mine and the owner of Inner Vision Kennel which is one of the best Siberian Husky Kennels in Europe. Stefan started Inner Vision which changed and enriched his lifestyle and now he is here to talk about how he succeeded creating such a name for his kennel, achieved great results along the way and turned his passion into a reality. 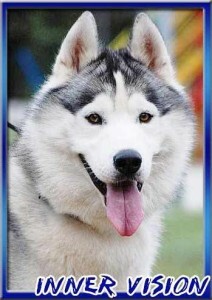 We also get to hear about what it is like to own a kennel and be surrounded by great people who share your passion for dogs, as well as being a part of the Siberian husky pack as breeders love to say. Also, he does have some great things to say about following your passion and becoming successful. If you need someone to look up to while creating your startup, Stefan is a great role model with a story to inspire. His story, if you read closely enough, is the one of the self-made man, and it will help you discover yourself and to stop depending on others. Enough of me and the introduction, let’s start with the interview. 1. Stefan, welcome to Lifestyle Updated, I’m sure that our readers will enjoy hearing about your story. Hi guys, I’m really glad being here. Thanks for inviting me. 2. We go way back and I know a lot about your progress with the kennel. Though we never talked about how this idea came into being. What made you decide to start with the kennel? My family and I were surrounded by dogs years and years back. It’s a tradition that runs in the family I suppose. Growing up with them I developed a sincere connection and probably even unknowingly this led to me becoming a kennel owner. As a brief history my dad owned a hunting dog back in 1980, after that it was an Irish setter who we had as a gift. Then I remember growing up with a German shepherd which we had back in 1994. We kind of liked this breed and stayed with them for a while longer. Though, after a period of time we started looking for a gentler temperament, something that couldn’t be found with the German shepherd, and decided to look elsewhere. 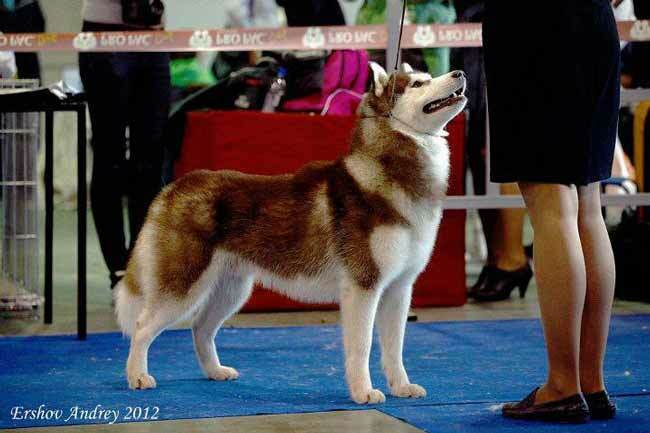 Wanting to emphasize a similar anatomic physique, we kind of liked the huskies. And that’s how this story continued. It was 2004 when we had our first dog, a female, Merlin, and she is still a part of our family. After a while the huskies simply grew on me, and the bond was created. The idea for the kennel really came as a result of being curious about the breed itself. 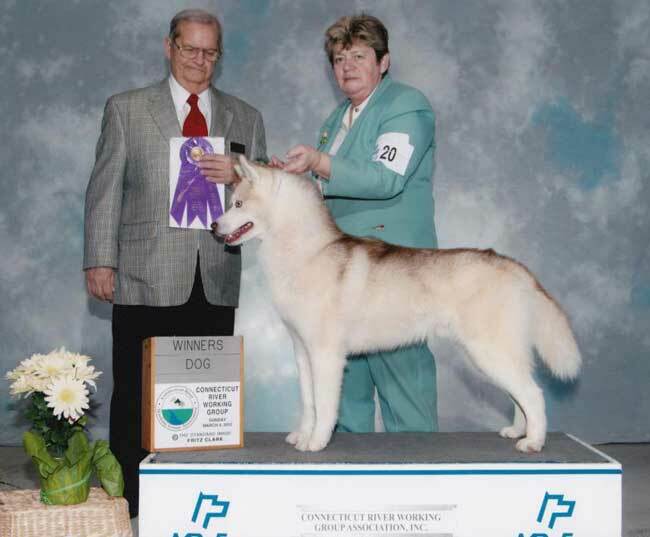 I went to couple of shows, met some other breeders there, become fascinated by the breed in the most natural of ways. 3. Almost all entrepreneurial endeavors are hard at the very beginning. You love Huskies and you are very passionate about building a reputable kennel, but tell me, how hard was it convincing yourself that this thing was going to work both in the sense of creating and offering something of value as well as creating a decent income? It all started spontaneously to be honest, by being in love with the breed, dogs and animals in general, even without having in mind that someday this might become a profession of mine. I’m sure that when you are investing yourself without any compromise, giving your best at what you do, results come naturally and it grows on you in the sense of becoming more than just a passion. It becomes a profession, a life dedication, even. Regardless of what other people think, you should pursue your own pattern and system of beliefs. Thinking about it from this perspective, I can say that it was fairly easy for me to reject all of the skepticism suggesting that things may never take off. I was determined to do and achieve something of great value, and this determination served as a very powerful drive. When you are ready to succeed by investing wholeheartedly, there is never an option other than success. Focus on what you love, and forget thinking about the outcome, about what others expect. You will be surprised as for how this turns out. Regarding the financial aspect of it; it was never about the money. They come only as a result of creating something of value, nothing more. If you do your job for the reason of creating something valuable, enjoying while becoming better at it, you will see that money and financial stability come naturally and as a default. Focus on your passion first and let everything else to just happen. There is an interesting saying which I adopted as somewhat of a professional motto of mine. It goes: “From them for them” – Of course meaning for the huskies. You invest into them, into their well-being, into improving the breed; this is what the kennel is all about. It translates into making a great place for them, thus a great kennel, and the payback comes because you are successful at it. 4. As I said, we know each other for a long time and it seems to me like your passion for what you do never came to a plateau. How do you manage to remain so enthusiastic about your work? What I came to notice is that results and progress can motivate all by themselves. Making initial progress pushed me even more in the sense of becoming more passionate about what I do. The passion itself grows as you dedicate more time towards it, and quite frankly it gets even more interesting after a while. The love for what I do and the dogs though is the main, and by all means most powerful drive. Most people lose focus simply by forgetting why they are doing the things that they do. Knowing why you do your job is a powerful motivator. I guess it’s like that with many other areas of life, really. 5. Huskies are a lovely bread. I find them fascinating and you know this. I own my five year old Siberian Brando thanks to you. But tell me, what can you say about this bread from all the experience that you had with them so far? What makes them different? Why Huskies after all? Tell us more about them. I will first start with the exterior, history, character. The exterior is what captivated me at first. Being work dogs, agile looking, medium size with fairly strong build, erected ears and tail resembling a brush, they leave quite an impression. The way they move is also quite elegant and dare I say almost unique among dogs. The fur which is double coated as to keep them from the low temperature is also a distinguishable feature. Same goes for the eyes which often vary in color. As far as the temperament goes, they are very friendly, though sometimes reserved, however never showing even the slightest of aggression. Though gentle and calm, they are also alert and prepared for work at any time. Saying that they are energetic is an understatement to say the least. As for historical data, they originate from the 19th century. Of course their line of ancestors goes way back, even to the most primitive of dogs. This is one of the things which I consider to be fascinating. Not a lot of genetic manipulation here, hardly if any, even. They place of origin is Siberia, hence the name. They were bred by a tribe called Ciukci where they served as a great transport method. The fact that they were close with their owners in the sense of living with them and their children probably helped in shaping the character which we see nowadays. True athletes among dogs, intelligent, occasionally stubborn but gentle and playful, they left a huge impression upon me and I couldn’t help but love them. 6. Owning a kennel means a lot of networking and getting to know a lot of great people. How did this affect you in the sense of being more open to people, ideas, new ways of thinking? With this profession it’s all about learning and being open to new experiences, new suggestions. Lifelong learning if you ask me. And I cannot but notice the same thing with any other profession. We learn constantly, that’s how it goes if you want to become better at something. There is always something new about them that I’m constantly fascinated about. For sure being connected with many great people who share the same enthusiasm and love for this type of work helps a lot. We are constantly learning from each other as well. 7. I suppose that it’s not all rainbows and sunshine all of the time. How do you cope with setbacks, various problems, unexpected things? Do you have anything particular to share? Like in any other profession the same applies here – you sometimes make bad choices, things are not going well all of the time, and being a job that involves living creatures it sure is very unpredictable and dynamic. All of this takes its turn, sort of speak. Nonetheless, it’s always an opportunity to discover some new approach, new angle and point of view which will without doubt help you in the future. We learn from mistakes too, and success is never just a given. It wouldn’t even be interesting that way. Sometimes experiencing a setback, tell you what, it serves as an additional motivator. 8. Traveling is an inseparable part of owning a kennel. How often do you travel and how much do you enjoy it? It sure is an inseparable part. Whether we are talking about a show where we are participating, or about a show where I’m judging, or taking a male to a different country for stud. And it’s not about traveling nationally, but internationally as well. Reminiscing about the past five years, I’ve visited Italy, Austria, Greece, Hungary, Slovakia, Serbia, Bulgaria, Romania, a lot of Europe actually. And traveling for the purpose of improving your kennel, doing what you love, it gets even more enjoyable. Besides, I’m meeting great people wherever I go and this is by far one of the best parts. I can say almost with certainty that every month I’m either out of my town or out of my country. This had never occurred to me when I first started the kennel, but I’m for sure enjoying it now. 9. 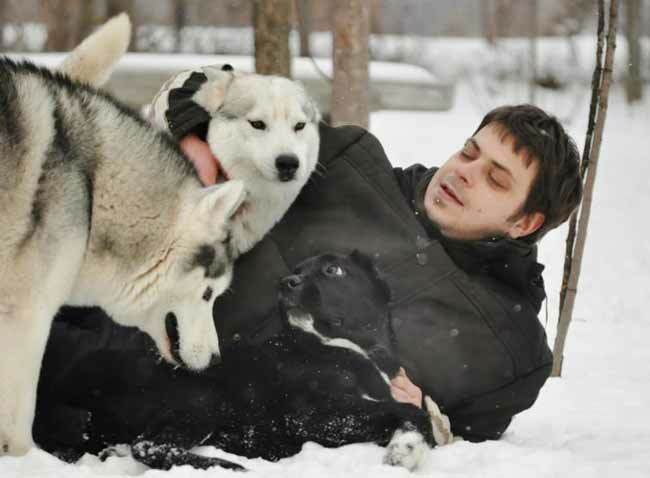 Your passion for huskies has led you even one step further, so you became a kinology judge as well as the president of the Macedonian club for polar breeds. Do you plan something similar in the future? 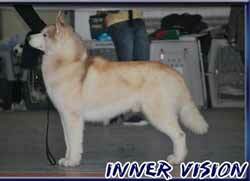 This breed belongs to the 5th FCI group which particularly caught my attention. Wanting to learn more about the group and indeed about the breed itself, I decided to become a judge, something that makes me very glad really. I’m also learning about the 8th group and hoping to become a judge very soon. It really broadens my view on kinology. As far as the club goes, we are making a real progress promoting the breeds and making people more familiarized with them. We also hope to make a great community in Macedonia, one which will be more engaged with these breeds and communicates and gathers more often. The focus and the stress currently falls upon making breeders more engaged into lifting the bar in terms of quality when the breeds from the 5th group are concerned. We want to help that by organizing international shows and bringing much respected judges from abroad. It’s an ongoing process, but I can tell that I feel good about the current direction of movement and where are things headed. 10. Owning a kennel and taking care of the dogs is one thing, but tell me, how do you get on top with the entrepreneurial side of it? You learn a lot about financing, management, marketing on your own… This requires a lot of learning and time management. Is this something that is easy to handle? Of course that this passion – profession, does include a lot of investment in the sense of learning about organization, management, promotion. It’s something that comes in the package. But there are lots of other things too. I learn how to manage an internet presence, running the site and all; learning a lot about photography, trying to manage my time and responsibilities appropriately. Things add up quite quickly if you decide not to invest yourself fully. So you got to stay on track and improve along the way. The best part is that this happens rather spontaneously. It’s never because you have to, but rather because you want to. This way the interest which you develop is very sincere and you invest yourself even more. I can try and learn about many things connected with my work all day long and that never represents a burden for me. I guess people are more likely to develop interest in things closely connected to what they feel passionate about. 11. You’ve build a great name for your kennel so far and earned a lot of respect in your country, especially among fellow breeders. What type of success makes you the most proud? 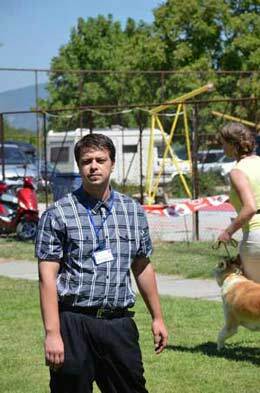 Besides focusing on promoting our kennel, we also focus on promoting the Macedonian kinology. Whatever success we achieve, is also success for the clubs and kinology federation we are a part of. What makes me the most happy is when I see a dog of ours on the podium at a show in let’s say USA, Russia, Denmark, Poland, Ukraine, Italy, Germany and many other countries. We had many great results so far, but our intention is to aim for even more. 12. For the people interested here; how often do you have available puppies throughout the year, and what is the best way to contact you? Another thing that makes me proud is having successfully managed to connect with people around the entire world and now many families as well as kennels own a dog from Inner Vision. 13. What else do you enjoy other than working on your kennel and with the dogs? Let’s hear about some of your hobbies. What fulfills me the most is being with my friends, listening to music, traveling occasionally. I also enjoy watching movies, learning about photography; over time I became quite the photography enthusiast and it gets addictive, tell you that. I was thinking for a while now about investing more into sled as a sport. And you Slavko know about this one. Nothing is underway really, but I’m hoping that this will happen in near future. That way I will be able to offer the pack a lot of enjoyment, since they are work dogs at the core of their origin, as well as enjoy this whole thing myself. 14. Giving a retrospective look back, what do you have to say to all of those who have a passion for something but never decide to go for it because of myriad of circumstances? Just to be persistent in what they do, never back up from their dream and keep listening to their heart. Many times things know how to arrange all by themselves if we are dedicated and passionate enough. 15. 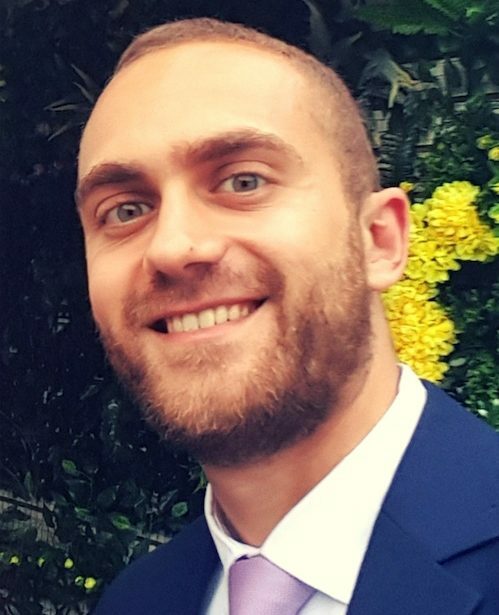 Stefan, thanks for being a guest on Lifestyle Updated, we wish you the best of luck. Thanks for inviting me. I enjoyed this interview and I really hope that we will be able to talk here some other time too. I must say that this site and the idea and community behind it are great. It’s always a pleasure hanging around with people who are interested in talking about the things that they feel passionate about, hanging around people who are driven for success, becoming better at what they do. We are really in lack of such communities. I hope that you enjoyed this great interview and had a lot to take with you from our guest Stefan Mitrevski. He is a great example of how you can succeed with what you love and what you are constantly improving upon. Let’s say hi in the comment section below. It is open for any questions, which I’m sure Stefan will love to answer. Also check his site Inner Vision Kennel and get in touch with him if you want to own a beautiful show class Siberian husky. Great interview here, I think the only reason on why Stefan got success in this field is because as he mentioned in answer of your 3rd question that he loves dogs, breed and animals and he focused on what he loves without worrying about anything else. It’s reality that If you do what you love and follow your passion, success will follow you. No, seriously, this is a textbook example of investing in something with all you have, all the passion and dedication. The thing is, after that, you just can’t fail.